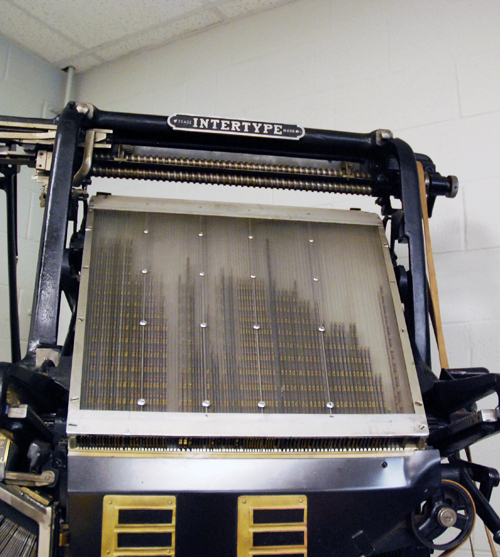 Intertype began life in 1911 as the International Typesetting Machine Company. They were located in Brooklyn, New York. Because of various patents held by the Mergenthaler Co (owners of the Linotype), there was no real possibility of building a machine incorporating the key Linotype designs until 1909. 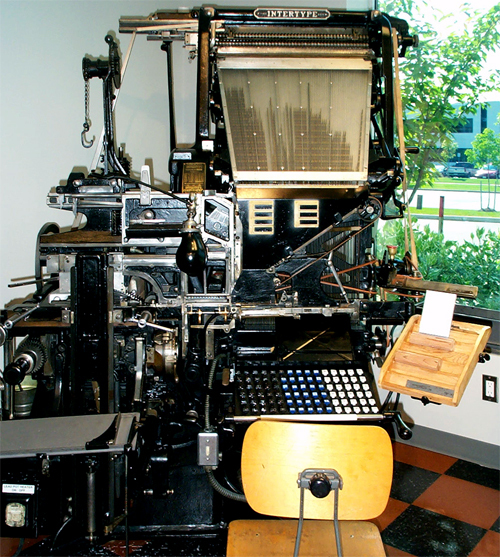 At the time of our machine’s delivery, it sold for $3,000 – a lot of money then, but less than a Linotype. 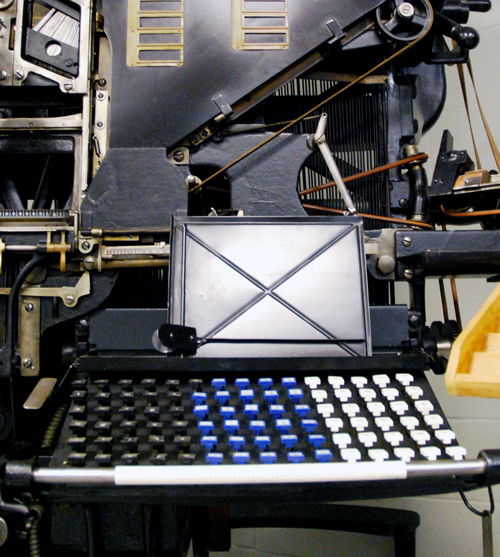 During the next 60 years, Intertype and Linotype would fight it out for linecasting supremacy. By 1957, Intertype was absorbed into the Harris-Seybold Co. becoming Harris-Intertype Corporation.